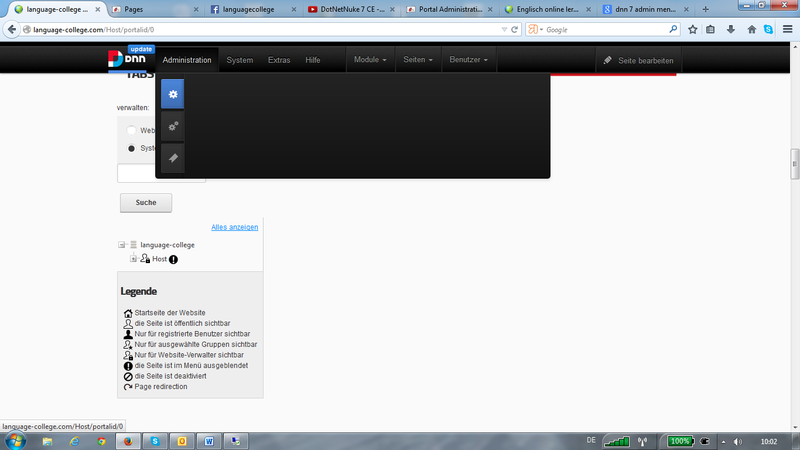 After updating to dnn 7 my admin pages disappeared. and the extended tab shows the first level pages of my page. If I click on Administration I get redirected to host entries. It also seems that there are no admin-pages at all…what is wrong and how can I fix it?